Huawei Malaysia wants to make it easier for you to step up to a brand new Mate 8. They are currently running a trade-in campaign where you can enjoy an instant rebate up to RM1,750. To sweeten the deal, Huawei is also giving an extra RM100 off if you’re getting the Huawei Mate 8 32GB model. The final trade-in price will be based on the evaluation by Huawei’s authorised staff and all you need is to pay the price difference for a brand new Huawei Mate 8. The Huawei Mate 8 is priced officially at RM2,099 for the standard 32GB version and RM2,399 for the Premium 64GB model. 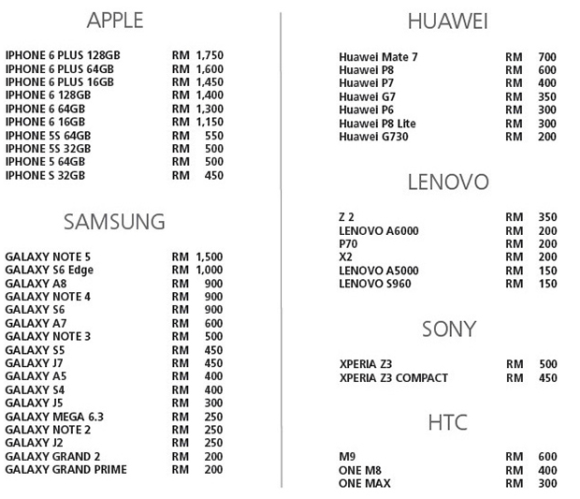 If you’re wondering how much your phone is worth, you can check out the trade-in prices below. 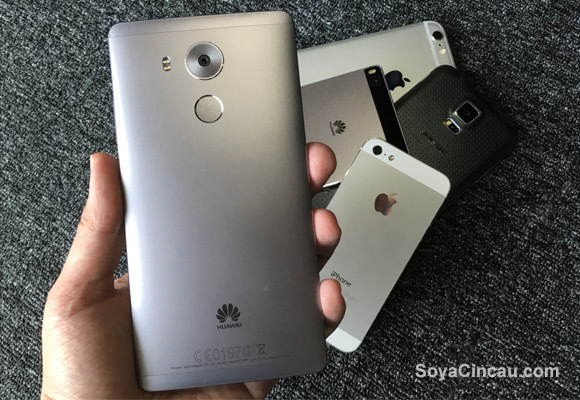 To recap on the specs, the Huawei Mate 8 is a premium 6″ phablet. The display pushes full HD resolution on an IPS-Neo panel and underneath it runs on their high-end 2.3GHz Octa-Core Kirin 950 processor. The standard version comes with 3GB RAM and 32GB of storage while the premium version comes with 4GB RAM and 64GB of storage. For imaging, it gets a 16MP Sony IMX298 sensor with OIS, while the front gets an 8MP selfie camera. Powering this beast is a 4,000mAh battery which Huawei claims is capable of lasting 1.5 days on a single charge. You can read more in our full review. 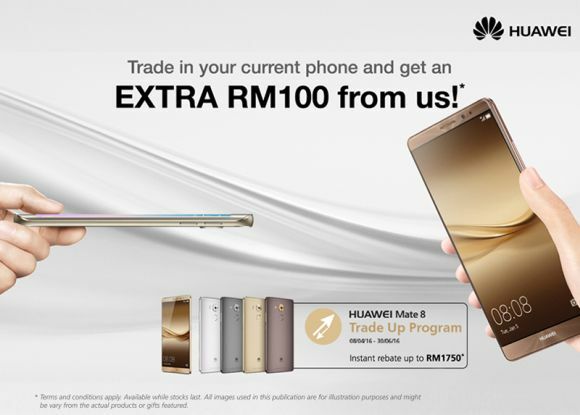 For more info on the trade-in program, head over to Huawei Mobile Malaysia’s Facebook page.